The Jute basin and bath taps offer a simple contemporary design, high quality materials and up to minute technology. This Jute mixer tap is for baths with two tap holes. 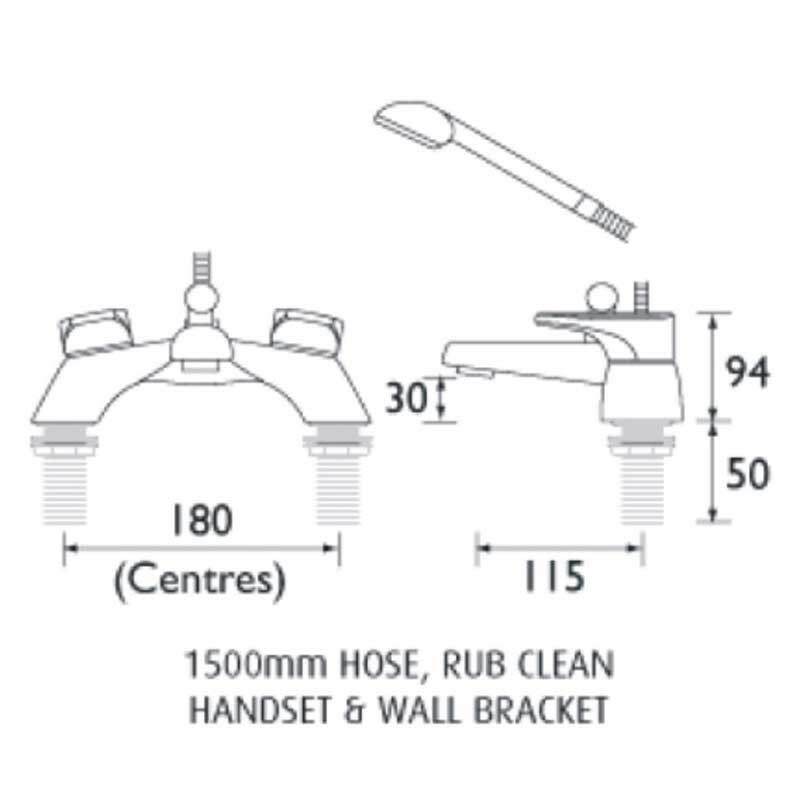 It is supplied with 1.5m shower hose, a rub clean shower handset and a wall bracket. It has modern day ceramic disc valves within offering reliable easy to use quarter turn control. 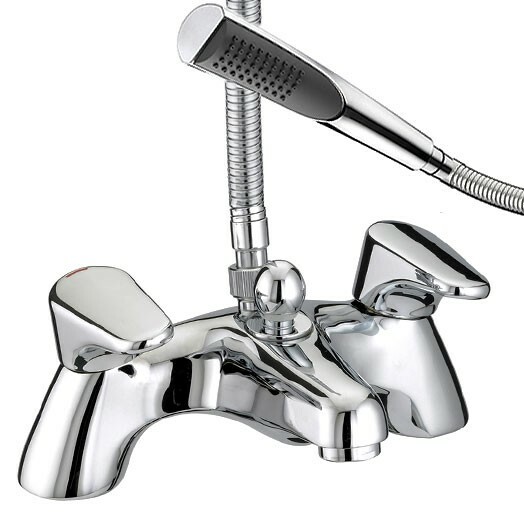 The Jute pillar mounted bath shower mixer is only available in chrome plated finish (as shown). Although this tap looks nice it is to replace one which I purchased only two or three years ago. Product : Although this tap looks nice it is to replace one which I purchased only two or three years ago.